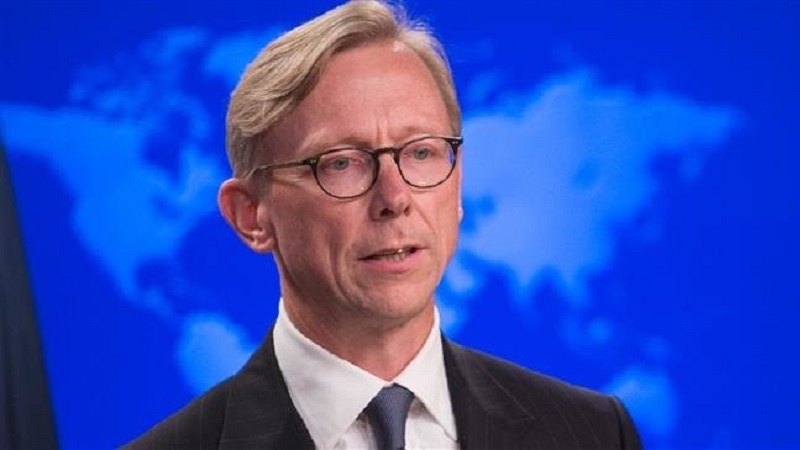 US State Department’s Special Representative for Iran Brian Hook is to visit the Occupied Palestine and the UAE to advance US President Donald Trump’s so-called Iran strategy and push for Washington’s hostile campaign against Tehran. According to the note, Hook will meet with Tel Aviv and Abu Dhabi officials to discuss cooperation on countering what it called “Iranian threats”. The State Department said “Hook’s trip aims to advance the president’s Iran strategy” and to increase pressure on the Islamic Republic. It also said that the “US is committed” to working with its “allies and partners to fully implement” what it referred to as Washington’s “maximum pressure campaign” against Iran. Earlier this week, the US re-imposed the “toughest” sanctions ever against Iran in an attempt to curtail the Islamic Republic’s oil exports and put extra pressure on the country’s economy. The White House claims the new sanctions will force Iran to abandon its nuclear and ballistic missile programs while rolling back Tehran’s influence in the Middle East. While the Trump administration had earlier vowed to cut Iran’s oil exports down to zero, it later admitted that it had failed to get the main buyers of Iranian oil to tag along and had to grant temporary waivers to China, India, South Korea, Turkey, Italy, Greece, Japan and Taiwan. Hook’s planned visits to the Occupied Territories and Abu Dhabi come as the Israeli regime and Persian Gulf states have, in recent months, openly moved toward a rapprochement, especially by presenting Iran as their common enemy.